Why are the real questions not being asked over Cameron and Blairmore? The puny £30,000 off-shore fund is mere smoke and mirrors to mask the much more serious issues surrounding Blairmore Holdings-the business that paid for Cameron’s privileged life-style including Eton, Oxford and Bullingdon. The fundamental issue being ignored over the Panama Papers is on the can –“Panama”- its political geography and its role as the capital of global shady capitalism. Recognised by Scots of the 17th century Darien Scheme as having enormous potential the Panama isthmus sits strategically between global powerhouse North America & resource rich South America as well as being well positioned to link Asia with Europe viz the canal, with the Caribbean archipelago on its doorstep. As a centre for cross-border capital trading and dealing it is ideally positioned. A cursory visit to Panama will reveal the incredible globalization of its financial services sector with a multi-national professional population reflecting its global reach. Evidence of the international character of this dodgy centre for money management is to be found in the leaked papers. Chinese, Russian , British, African Canadian even Iceland: players from all continents are linked to the Panama Papers. However Panama also shares a border with Colombia. (Panama was at one time part of a greater Colombia under Bolivar.) The financial industry in Panama was instigated and developed substantially by Colombian drug money: money from producers as well as shippers, distributors and their political agents all used Panama (see Escobar). Indeed former President (dictator) of Panama General Manuel Noriega was convicted (by his erstwhile friends) the US Government for accommodating money laundering and Colombian drug dealing under his notorious regime. Panama under Noriega (as reported by the CIA) was a major centre of illicit financial roguery fuelled by massive drug dealing and wider commercial irregularities. (US goods and technical equipment shipped to Panama for example could be re-routed via Grenada or Jamaica to a final destination in Cuba). Panama was well known as the most corrupt jurisdiction for international financial services. So now against that sleazy backdrop, what makes the Blairmore Holdings story so much more intriguing is the question-why did Blairmore select Panama for its off-shore headquarters? Other London based British banks and money managers used the Cayman Islands, Bermuda and the BVI for off-shore tax free activity. But Ian Cameron (after Thatcher had opened the door to the export of capital) selected Panama. (Please note it was the Panama lawyers who added another layer of obfuscation by shifting David Cameron’s share-holding to the Bahamas.) We know Panama is out-with British jurisdiction unlike the British over-seas territories mentioned above. We also know Panama had acquired quite a reputation as one of the biggest laundries in the off-shore financial business. So much so that Uncle Sam was forced to arrest and lock-up one of the CIA’s trained clients, Noriega. How did Blairmore manage in the Panamanian ‘heat’? Make no mistake Colombian drug industry culture in all its various guises dominated the financial services under Noreiga, turning hot money into clean funds. How did Blairmore Holdings escape the ubiquitous influence of Colombian drug-money? These are only some of the questions that require answers? But for certain, David Cameron and his ultra-clean political brand have been severely tarnished simply by the questions, never mind what the answers may reveal. Everyone is getting very hett up about the £30 000, I’m more interested in the millions that was in these offshore accounts and what happened to the money once Cameron senior died. Where did that money go and was the proper inheritance tax paid on it? A very fair point. Up to now I’ve regarded all the hooha as a bit unfair. I’m no Tory simpathiser, quite the reverse, but looking with a cool head at everything that’s been revealed its clear that David Cameron has done nothing wrong. Even the infamous 30,000 of sold shares falls well within the limit (70k) that would require him to declare it. And, aware that having shares of any kind might open him to criticism he sold them at, we are told by all looking at the matter, a negligible profit. (Okay, nice to have 30k to invest, but hardly a hanging offence or many of the pensioners who paid into a retirement isa will have far more than that to invest when they retire.) In fact all this reminds me of the clouds of obfuscatory attacks on Hilary Clnton. No-one can point to a anything she’s probably done wrong but enough mud is flung around to stick. I’m faintly amused to see the technique applied by the left in the UK, rather than the “vast right-wing conspiracy” (as she once described it, predicting its use against her husband and, by extension, herself) in the US, but in the end I prefer fairness. Which brings me to Ian Cameron. I think it’s entirely fair to ask, as here, why any UK citizen should choose such a particularly dodgy location for its already morally dubious activities. The fact that such things are, or appear to be lawful — another little gift from Thatcher, and part of the general loosening of financial controls that brought us the banking crisis — is outrageous. If the current brouhaha surrounding, but not legitimately touching, David Cameron achieves the end to such slimy little dodges then I for one am all for it. Cameron said, of others doing what he has done, as ‘immoral’ – blatant hypocrisy. For a Prime Minister to ‘avoid’ paying tax, evading for days in the press? As immoral as it gets when they are planning on punishing the poor. It’s not illegal because they made it so. And of his honesty? It took a massive leak to get him to admit something – an immoral lie by ommission, and we think this is all there is? An immoral liar for Prime Minister? Get me and Scotland out of the UK. With Camerons statements they are deliberately vague. Specifically he mentions no interest or income for him , the wife and kids from Panama. Just before he went into no10 first time he had sold off shares in this “trust” , for 30k , he knew this was something to come back and bite him – so in a way protected himself from it. However anyone with a head knows that these could have been sold off as loan shares , to be returned later , a bit like short selling shares but to a trusted individual. Which means a truth , within a lie. The bigger answer for the media and investigative jouno is to find out whom they were “sold to” , a trusted lawyer , another family member , or even back to Blairmore itself to be returned later. I suspect the latter is where that true value , not 30k , is held , with a value of around 12m , where it could be rebought for the same as sold for or a token profit on a undervalued amount. Hmm … is it possible for something to be immoral but not wrong? I’d suggest that the current controversy shows that it is. Within the laws of the realm, the rules of parliament and simple common self-preserving sense (in selling off all his shares prior to becoming PM) Cameron has done nothing ‘wrong’. Whether his envious has been morally acceptable is a different matter. That’s just one more reason why we need to rethink all the legislation concerning tax avoidance if we don’t want any more confusion between the two. He can hardly, as I said, be held responsible for how his father earned his living and paid for his education. However much as I’d like to castigate him for hypocrisy and obfuscatory procrastination in ‘coming clean’ to parliament about his family’s source of wealth, I think the truth is he simply did not understand it. When he lambasted others for avoiding tax I don’t think it actually occurred to him that he was personally implicated: he’s not that clever, frankly, to try to throw a smokescreen. And when he initially blustered in parliament after recent events blew up I suspect he did so to hide the embarrassing facts that he really neither quite knew how his family stood in terms of the legitimacy of his father’s actions (but feared there might be something wrong with them) nor understood the ins and outs of the relevant tax situation when, as PM, he certainly should have done, which meant he had no way of assessing whether his father had done any wrong, or not. He had chosen never to ask, so never to know. It was (arguably) culpable ignorance he was trying to hide, not financial wrong doings. It was this deliberate ignorance that allowed him to reprimand others for failing to pay their way properly. He had no doubt accepted his father’s assurance that he paid all required taxes and acted in accordance with sound, accepted practice. His failure to question this is the only plausible explanation for why he would choose, spontaneously, to spout what is now (wrongly, I argue) taken to be his hypocritical denouncement of others for avoiding tax. At the time, I suggest, he had no idea that his father might be open to the same denunciation (and a fortiori because he took money for telling others how to do it) because he chose not to look to closely, and didn’t have enough knowledge to understand if if he had. How many of us fully understand the details of off-shore trusts? The difference is, we’re not PM. He should know them, particularly since he has pledged to review the legislation concerning them. (That he has done nothing should surprise no-one but himself: as usual he seems to imagine that making a strong statement about something is the same as actually taking action on it.) Let’s try to hold him to account for his failure to clamp down on legal, but morally unscrupulous tax avoidance, for which he is responsible, rather than his father’s business dealing, for which he is not. A thoughtful contribution, Martin, thank you. It does give pause to wonder whether our fourth estate the resources, cojones and interest in asking the hard questions of our masters. Firstly, well done to the Guardian for publishing what’s come out so far, and for their involvement in the partnership that has protected the source and sifted the oceans of material. I have doubts, however, that they will pursue Cameron, Osborne et al in the midst of the EU referendum campaign. The Guardian supports a Remain campaign already looking shaky in the polls and will be aware any further damage to its two leading lights could see the project holed below the waterline, with massive repercussions for the world economy and the coherence of the UK. Unless, of course, there are revelations to come about Johnson, Farage or other Brexit leaders. Their deafening silence on this matter has been uncharacteristic to say the least, especially in the thick of this unilluminating but increasingly brutal debate. Nobody seems to have put any difficult questions to them – yet – and that’s as curious as their avoidance of the microphones. I suspect press barons are up to their necks in similar shenanigans, and all are aware that going in for the kill on Cameron could backfire spectacularly. Imagine the whole political class was exposed as tax avoiding hypocrites? What then? I’m sure Bella contributors have ideas on that, but you can be sure the powerbrokers in the media and the British State have thought of them too. So (surprise, surprise) I guess it’s up to us to press these and other questions through whatever means we have, including our political representatives at Westminster and Holyrood, social media forums, and in conversations around the upcoming elections and the referendum. And just one final word: Scottish PEN is leading a campaign to halt the insidious Investigatory Powers bill quietly working its way through Parliament. Please check out http://www.scottishpen.org for further information because if this bill had been on the statute book you can better your bottom euro the Panama Papers would have been burned – along with their source. I’m not so sure that I would be congratulating the Guardian on their expose. It appears that the press releases have been heavily redacted and censored to protect Western interests. As of now, none of the original documents are available for the public to view, unlike Wikileaks, and the establishment funded ICIJ that has co-ordinated the release,has said it will not do so. Indeed the ICIJ director took the opportunity to have a dig at Wikileaks and their methods. Adam Johnson talks about this in his article. Medialens, Craig Murray and other journalists have been asking pertinent questions over the last few days,criticising the Guardian, the BBC and other establishment media outlets. “If you’re wondering why the US and British moneyed elite aren’t getting “outed” in the Panama Papers, consider this: The leaked documents were “bought” by the German government and subsequently shared with the UK and US govts, according to Gerard Lyle, director of the International Consortium of Investigative Journalists (ICIJ) that is ‘hosting’ the docs. Furthermore, the US-based ICIJ is funded by George Soros’ Open Societies Foundation and USAID, among other elite western media/govt institutions. The German media outlet that first received the Panama Papers says – for some unknown reason – “the structure of the investigation by journalists used search terms and pre-compiled lists of names that foregrounded countries already hit with UN sanctions.” Even though the UK and US are, respectively, the 2nd and 4th country with most intermediaries dealing with Panama. It is fascinating to witness the MSM scuttling around to protect their own. BBC website had an article suggesting there is little public interest because it is all too complicated. Nothing to see here, move along. How come the 3 Tory MP’s and 6 lords have not yet been named? Hopefully in due course Stuart Campbell, Wings Over Scotland, will get access to the data and proper analysis and exposure will be done. Another facet of Panama is the lead role it is plead in flags of convenience for shipping. The effect of these being permitted for ships entering British ports is it the hard won gains of British seamen were steadily undermined by industry regulatory oversight being shifted offshore to lowest common denominator nations like Panama and Liberia. This could have been tackled by requiring that ships docking in British ports should adhere to the same relatively high standard expected of ships operating under a British flag. A “flag of convenience” is only convenient for sea lane sharks. Sorry – dictated that on a phone and autocorrect got the better of me. “… is the lead role it played”. I do think every effort is being made to keep the lid on the affairs of Cameron and his ilk. The BBC is playing it down for all it is worth and I’m sure the security services will be playing their part too. But Cameron looks like a hunted man. Moving from initial denial to then admittance he has the look of a man who knows there could be more, much more to come. Will he resign. Well between the jigs and the reels of political rivalries this may well be something that will happen. And will it make any difference. Well no, tax avoidance is what rich people do whilst the crummy five eights pay their taxes. It’s the British way, and quite frankly many of the raggedy people vote for it. The Conservatives are in power, a substantial proportion of voters in England voted for them, and we in Scotland of course voted for the continuation of Westminster Tory rule. Maybe the rich deserve their money and tax breaks whilst the common five eights don’t. There was certainly no majority appetite to change things in September 14. Pay up all ye, pay up and be happy. We are better together now, well aren’t we? Try reading “Truth is a Lonely Warrior” by James Perloff. It will join the dots….. There are many other publications but this one gives the whole picture. Panama is just the tip of the iceberg. The offshore tax system is at the root of inequality and poverty in the UK. Much of the UK economy, especially the privatised utilities (energy, water, airports, ports etc) is today owned offshore (by whomsoever), as are large estates, property, whisky, aggregates etc. Much of this is fronted by high profile people including peers, knights and former senior civil servants. If politicians really want to tackle inequality, they need to end the offshore tax haven option. However none of the ‘establishment’ parties have any intention to do so, and indeed the SNP have just a week or so ago entered into an incredible £10bn MoA with an offshore ‘fund’. That just leaves Greens, Rise and Solidarity, all of whom have more progressive policies to deal with inequality and who are far more likely to act on this (regardless of the prevailing views of Scottish/UK Government lawyers). Agreed totally with your blog Alf until you turned it into an anti SNP pro Greens, Rise and Solidarity summay. You just can’t help yourself can you. The SNP will still get my constituency vote Willie, but they don’t merit a list vote, in my view. Unless their manifesto has a definite commitment to either an ‘Independence (Scotland) Act’ in the next session or Referendum2 by 2018. ‘Free’ bus passes n’ prescripshins juist dinna dae it fer me. Remember, it’s not about the SNP winning the election, it’s about getting a majority without which there will be no second referendum. Willie, majorities in both parliaments does not mean change unless there is a commitment to change. Nothing has been achieved at Westminster by the 56 SNP MP’s primarily because they promised to do precisely nothing. And there is similarly no commitment to an independence bill or a referendum at next month’s Holyrood election. So no significant change can be expected there and elected politicians will do what they promise to do, i.e. if that is nothing, then they will do nothing. We should not confuse the wider Yes movement with the SNP; the latter is merely a part of the Yes movement, one voice, and barely 10 years ago was itself little more than a ‘specialist interest’ niche party – albeit one that I have been voting for over some 40 years, so I know where it has come from, and more importantly I can see where its going, especially now ‘career’ politicos and bag carriers fi a’where are piling in to feed in the trough. The SNP needs to put its foot back firmly on the independence ‘gas’ at every opportunity, and leave it on the gas until the destination is reached; at the moment they are stopped in a gas station filling up with ‘fuel’ and ‘sweeties’. This is the high point, where any political organisation would be comfortable; but without more rapid progress its aw doonhill hi here. The widening gap between constituency and list polling tells it like it is. As with sour milk, mass adulation can quickly turn. Rodric, I only see one party promising a Ref2 (by 2018) – Solidarity as it happens. The SNP are promising nothing as yet, aside from adding just over 1% to the Holyrood budget through a tax rise, plus a further £10bn debt from China’s offshore private equity folk which they hoped nobody would notice. cameron has been permitted by a compliant press including the state broadcaster to shift the focus from the fact that he and his immediate family sought to secure advantage not available to the average woman or man in the street VERSUS this is a gallant repost to ensure his dad’s name is not besmirched. Don’t let this happen, it’s the political trick of ignoring what you have been accused of, replacing it with something difficult to attack, e.g. a deceased relative. I’d suggest we focus on the current cameron saying off shore banking is despicable and then paving the way for his mates and big business to use this unfair advantage to their advantage. This is the tip of the iceberg, what have they got in uk dependencies, let alone the US puppet of Panama? Basically cameron and his ilk wish to secure the futures of their offspring prior to those offspring being born, this is to the detriment of the poor, whose offspring by enlarge remain poor. Disadvantage, inequality and poverty, all formulated and supported by the state and establishment. This is the class system at its rawest, it took labour four days to respond, no doubt many of their former ministers have accounts they too would not be happy to see public scrutiny upon. Just like their pals of old like maxwell. Whilst Scots remain part of this vile and damaging union, we will have to Sufer this and other policies the british put in place to keep them and their dependents featherbedded! The SNP have been awfully quiet on the matter also. Why do you think that is? In case you had not noticed the media don’t want Scottish independence and don’t put voice to SNP opinion. I did however see The First Minister stating yesterday David Cameron needs to come clean. Voting green or rise is divide an rule and will see continued Westminster rule of our country. Unite behind the SNP for first and second vote to ensure nationalists remain in control of our parliament, when independence arrives that’s the time you can vote green or rise, risk free. Why chance handing impetus back to The unionists? Nicola Sturgeon says the Prime Minister’s credibility is now “in tatters” following the revelations that he benefited from offshore trusts in Panama. Mitchie, I’d suggest the media are intentionally censoring and limiting SNP exposure. That includes them commenting on cameron’s problems and in general what SNPs MPs and MSPs comment on. I understand that Corbyn and McDonnell undergo the same censorship and twisting of words by the press that the SNP have to endure BUT I don’t understand why Brunham, Johnson, Benn or even Brown for that matter have not spoken out about cameron, they appear to have access to the media whenever they want if they are attacking their own labour leadership or the SNP. It is completely incredible that the Cameron Family were living off the proceeds from the Blairmore Fund. It is fairly small beer in Fund terms and his father is claimed to have only been a senior executive there. There has/had to be other BIG money salted away somewhere. The salary/whatever from the Blairmore Off Shore Fund just isn’t/wasn’t big enough to support the Cameron Family lifestyle. Four children all at expensive private boarding schools followed by University afterwards. They would have cost a minimum of £150,000 pa for 15 years or so. On top of that there were the upkeep of the properties in London and various country estates they enjoyed together with the lavish country lifestyle they enjoyed involving shooting, horses and all with servants to be funded. The £30,000 admitted to so far is just the tip of the iceberg. The Family MUST have very substantial assets hidden somewhere well away from scrutiny. The father moved the Blairmore Fund to Ireland just before he died. And when he did his estate would have gone to his wife after gifts, tax etc, eg, Cameron PM received £300,000. But according to Probate records the father’s estate was only worth £2.7m. NOT credible. And whatever the REAL amount is, it will eventually come to Cameron and his siblings. 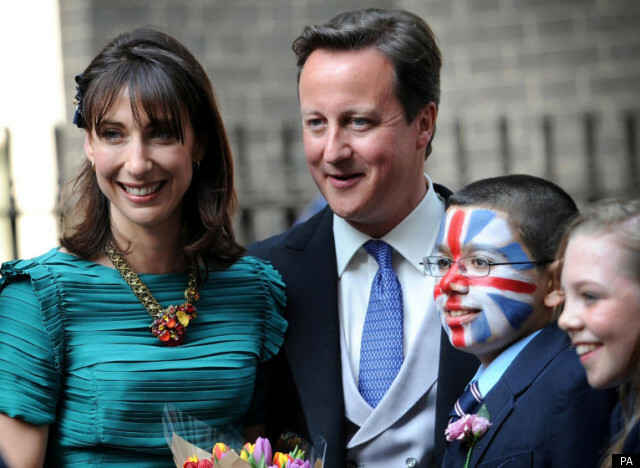 There is far more to Cameron’s and the Cameron Family’s wealth than has been admitted so far. Reading a fascinating book at the moment”Chasing the Scream” gives you a great insight into the world of drugs/dealing,basically it is intimating that legalisation/regulation of the drug industry would eradicate a lot of the crime gang involvement and money laundering,vested interests the CIA/Mossad are not going to allow this are they? I will vote SNP but “only because” Sturgeon and co are looking like a vey cosy wee bunch.If the Common Weal had candidates I would vote for them maybe rise is the nearest to them,I know young James McInearney who hopes to stand for RISE is very clever and very principled. A popular place for the wealthy to hide away their cash is in offshore ‘private equity funds’. The ‘funds’ combine cash from numerous wealthy investors, basically taken as period loans, repaid with interest. The ‘fund’ managers then go off and buy up a large asset, like energy firms, or an airport (e.g. Edinburgh Airport, Glasgow Airport, Aberdeen Airport), or ports such as Forth and Clyde. Often an inflated price is paid to acquire the ‘asset’, reflecting its regional monopoly and consistently high profits, which reflects the fact the acquisition is to a large extent risk-free. Fund managers receive a very large commission, of course, which comes out of the acquired assets profits, as does interest payments for fund investors. At the end of the fund period (e.g. 5-6 years) the asset is sold on, often to another fund, and investors are repaid their money. Sometimes high profile individuals are recruited to head up these private equity acquisitions, maybe to add some credibility to what are really just crude exploitative financial wheezes which exploit their monopolies (and customers/the public) and provide very little in the way of new infrastructure. For instance, Lord Smith who is chair of Cayman offshore owned Forth Ports, and the former ‘top’ civil servant in Scotland Sir John Elvidge who chairs offshore-owned Edinburgh Airport. Incidentally they are two individuals with a past/present close connection to issues such as taxation and the public purse, and not averse to pontificating on either, all the while fronting an offshore ‘fund’. As we currently see with Mr. Cameron and the Panama papers, there is no real transparency with such offshore funds in that nobody (aside from fund managers) know who the investors are. What that means is that much of Scotland’s key infrastructure assets could be owned by virtually anybody, maybe even David Cameron, maybe President Putin, maybe the former Prime Minister of Iceland, or indeed even much more unsavoury characters. Ditto the proposed £10bn SNP MoA with offshore Sinofortone, whose website has suddenly ceased to function for some reason. Thus, Scotland today is basically bought and sold not for English gold, but for ‘offshore’ gold. It is of some concern that the SNP are only promoting what they have done but silent still on what ideas are for tomorrow. Ideas & indeed ideals are what we vote for! Centre ground complacency and caution is not enough Nicola. There is a mood out there of fk politics & ALL politicians. More than cynical negative feeling there is a deeper popular mood of anger & frustration towards politics. Cameron’s deceit fuels this negation. We see it in the USA but it is here too! The SNP needs to understand this anti-politics trope, especially the bitter anger against the ‘professional politician class” who are seen as being “awe the fn same”!. Give us something real & progressive to vote for… there are a couple o alternative hungry parties waiting for our vote. I cannot but help sense the frustration on this blog for radical change, and radical change now. We had the opportunity in September 2014 for that radical change, but we rejected it. However, post September 2014 the majority of voters stood behind the SNP. And so with over 50% of the popular vote you have to accept that the party who fought to secure a referendum are popular. You have also to accept that the SNP is a coalition where a spectrum of views are held. Most certainly left of Labour and their Tory bed mates, the SNP have made progress that over 50% of folks are prepared to vote for. We’re it not so, Rise or Solidarity or indeed the Tories or Labour would have over 50% of the vote as a party – but they don’t. That however does not stop the Tories or Solidarity campaigning not should it, even though they may respectively only command somewhere around 15% and 2%. My own personal perfection is for a further leftwards shift bringing essential industries back into state control but the challenge is a big one. So yes, don’t disagree with many of the commentators views but do disagree on the route to securing change, and do disagree with the Johnny Come Lately Rise who quite frankly have no conception of how to secure the change that we need. The SNP got us to where we are today, not Rise nor Solidarity nor the now defunct SSP. So why have they not got over 50% of the vote or thereabouts. SNP 1 and 2 and let’s see where we go over the next few years. Well said Willie. I agree totally with your comments. It is a question of who is actually capable of governing instead of posturing. You have supplied the answer. This focus on Ian Cameron et fils distracts from the real issues of “offshore”, whereby, companies, billionaires, crooks, drug runners, kleptomaniac heads of governments and terrorists, to name a few, steal money from developing countries, scam advanced economies out of tax receipts (e.g. transfer pricing by companies) and then hide the profits or loot in layer upon layer of complexity in secrecy jurisdictions and tax havens, most of which are under the aegis of the UK Government, all aided and abetted by amoral lawyers, accountants and so on based in the City of London (mainly) and other financial centres. It’s all been documented for many years in several books, most recently in “The Hidden Wealth of Nations” by G Zucman. It will continue ever thus until we get rid of the mixture of aristocracy and captured political class that rules us. What else is still though to be revealed? More dropped into media next week? Probably back onto BBC paedowatch news , or being in the eu gives you cancer . Suspect it will just be something terror/major accident/abdication related next week , if it is then I would expect the public to be a little more sceptical and London to be a riot zone. People are beginning to get bored with P.C and the dead cat on the table crap. Cameron is already halfway out the door , with the eu referendum comes the other half , most likely forced by the party , creating a showdown with Boris and Ozzy for the hot seat . just what will the English do , after all , the media went on and on about an unelected Brown in no10…. but then again I dont think Boz or OZ are of Scottish stock , so very little to complain about there really. If the fourth estate had not been elevated to the first estate as an owned partisan enterprise the NWO would never have existed. But a lot of dead politicians, bankers,and barons of commerce and industry would have without its compliance. what I’d like to know is how a perfectly respectable and douce wee Clyde watering place got itself mixed up in this unholy mess in the first place? The only Panama Bar/ watering-hole I know is on the river in Dublin. Please elucidate! Blairmore on the Cowal coast at the mouth of Loch Long, a lovely wee relic of the Clyde’s Victorian glory days, it even still has it’s traditional old steamboat pier where the Paddle Steamer “Waverley” calls in summer. An interesting theory is that Cameron’s cosying up to our potential new Masters in China has provoked this reaction from our still potent old Masters across the pond. Oh well I suppose we should be thankful their warning shot across the British Establishment’s bows takes this form, and they aren’t blowing something up! If all the vast wealth in these offshore, tax-free funds has come from ordinary citizens, banks or governments (and I can’t see where else it could originate), then it must amount to a hell of a lot of cash that is withdrawn from economies. That is cash that could be circulating as wages, state spending and private enterprise, making our countries better places to live. Instead it is hoarded in secret vaults. A million pounds represents nearly the whole the working life of many UK citizens. People’s lives are being denied them by this form of sick greed. That our very land too, is withdrawn, banked and denied us, is a form of spiritual dismemberment.